A Diverse Community of Business Owners, Entrepreneurs, and Professionals Achieving More Together! Mastermind-based business coaching has been very successful in creating many “lightbulb” moments. We give our coaching clients inspiration, insight, tools, solutions, resources, and even the courage to take their business to the next level. What would you do if you didn’t have to do it alone? At times, a business owner may need individual guidance or support. Sometimes there is a big fear to overcome. Or perhaps there is an idea they can’t quite to put into action just yet. Individual Coaching and Mentoring clients can book a single session or take advantage of a package of sessions to give themselves time to put ideas and learning into powerful action. 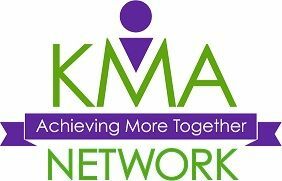 How Does KMA Business Coaching and Mentoring Work? Each business coaching and mentoring session is facilitated by Liz M. Lopez or Tracie Thompson (or both). Each brings a unique background, skill-set, and approach that gives clients a 360-perspective on overcome challenges, capitalizing on opportunities, and taking bold steps forward. Coaching and mentoring clients can book an hour-long coaching session or purchase a multi-session mentoring package. Sessions are private and confidential and you are the focus point. You choose the topic and outline your need, and your facilitator(s) shares insight, ideas, solutions, and tools that can address your specific need. At times, this may include some gentle “push-back” or a reality check. Overall, coaching sessions are intended to be exploratory – a comfortable combination of a brainstorming, consulting, and accountability. You can choose one session or book a package of multiple sessions to support a specific project or goal. Sessions are 50 minutes long and can be by phone, Skype, Zoom, or in-person. Rates vary by format and location. To learn more or set-up a session, please select a program below and submit your contact information. We will be delighted to discuss options to best serve you. Please expect a reply within two business days. Copyright 2018 KMA Network | All Rights Reserved | Website Maintenance by Time-Savers, Inc.